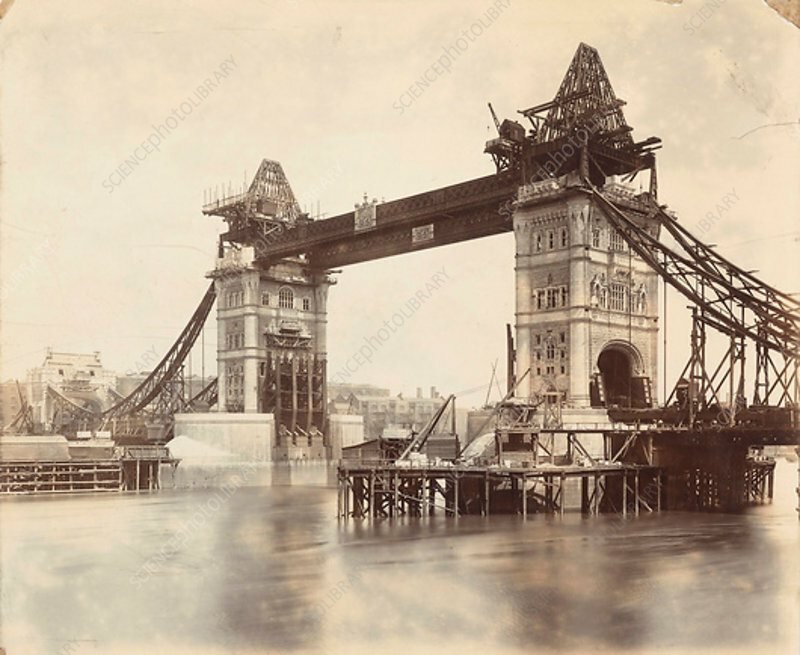 Tower Bridge under construction, London, c1893. The construction of Tower Bridge was begun in 1881 to designs by Sir Horace Jones and it opened in 1894. It was designed so that the central section could be raised to allow the passage of ships to and from the busy wharves of London.